This entry was posted in Adventure and tagged Adrenaline, adventure, Alaska, Beluga Interaction Program, beluga whale, bucket list, Bucket List Publications, Bungee Jumping, California, Canopy Tour, dog sledding, dolphins, Family, Lesley Carter, Paragliding, photo, photography, San Diego, sky jump, Skydive San Diego, skydiving, surfing, travel, Vegas, Whitewater rafting, ziplining by lesleycarter. Bookmark the permalink. The list is pretty endless these days but I believe the next one on the hit list is Glacier Cave Diving in the Arctic! 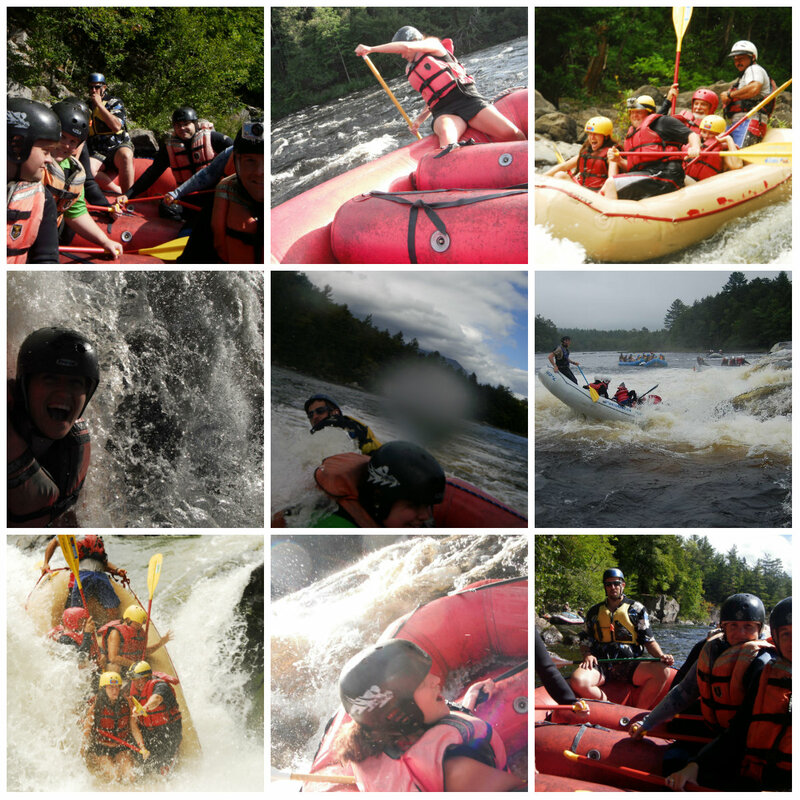 Wild water rafting, mountain climbing, skydiving, and dune buggy racing. Yeah! just reset my twitter up today ……. it’s been a super long journey you know ? i just set it up again – pretty rusty – but now i have my super awesome glasses and big screen – feel invicible 🙂 well almost !!!!!!!!!!!!!!!! Awesome photo collage! I just got scuba certified so for me, I see lots of scuba diving in my future. That is pretty extreme for me! Do you plan to slow down at all now that you have an itty bitty? Maybe for a while, but there is tons of stuff they can do with you too. My second daughter went on my back all the way up a volcano in Hawaii, and also in a plane glider in Hawaii. Pretty awesome. Also, those collages are fantastic! Would you mind telling me what program you use to make them? Congratulations on the scuba certification. I’m sure you will take full advantage of it. As for slowing down, maybe a little bit but we’re still living life to the fullest. Since she was born, 4 months ago, we’ve done the jetpack flight, glider lessons, a biplane flight, surf lessons, and moved across the country. We took a weekend vacation to Charleston last week and I took her home to eastern Canada for two weeks before that. We have a few trips on the horizon but nothing extreme just yet. The program that I used to make the collages is http://pixlr.com/. It’s super easy to use and a great way to include lots of photos in a small space. So many people feel like their lives end when they get married and have families. I couldn’t disagree more! I love that you see her as an addition to your full life! 🙂 Thanks for the collage tip! I tried it! It was so easy. Check it out! I appreciate you helping me out. Absolutely love your photos! For me, it’s a week long backpacking trip in the Tetons, scuba diving, and whitewater rafting! We’ve rafted before, but nothing extreme! Your post is inspiring me to update my list. Thanks! Wow! Where was the dog sledding?! It looks amazing! The dog sledding was in Alaska. It was a beautiful trip and a cool experience. We flew there for a long weekend, but we were able to experience a lot in two days. WOW in two days?! That’s inspiring. I’ve never taken short vacations other than places I can drive I can drive to in just a few hours. Awesome! WOW! My bucket list isn’t one tenth as exciting as yours. I’ll simply watch yours. Wonderful photographs. I was hoping that you would write a quick review for me at http://www.alexa.com/siteinfo/lesleycarter.wordpress.com#. You’ve been following me for a while now and I appreciate your constant support. I wish I could say I was an extreme adventurer, but road trips in other countries is about as extreme as I get. I did take a ride over Lake Michigan in a four-seater once–I think that experience is pretty much why I can’t call myself an extreme adventurer. Trying to find a job! Try it once….sure can be scary! Great collages. So which one brings back the fondest memory? 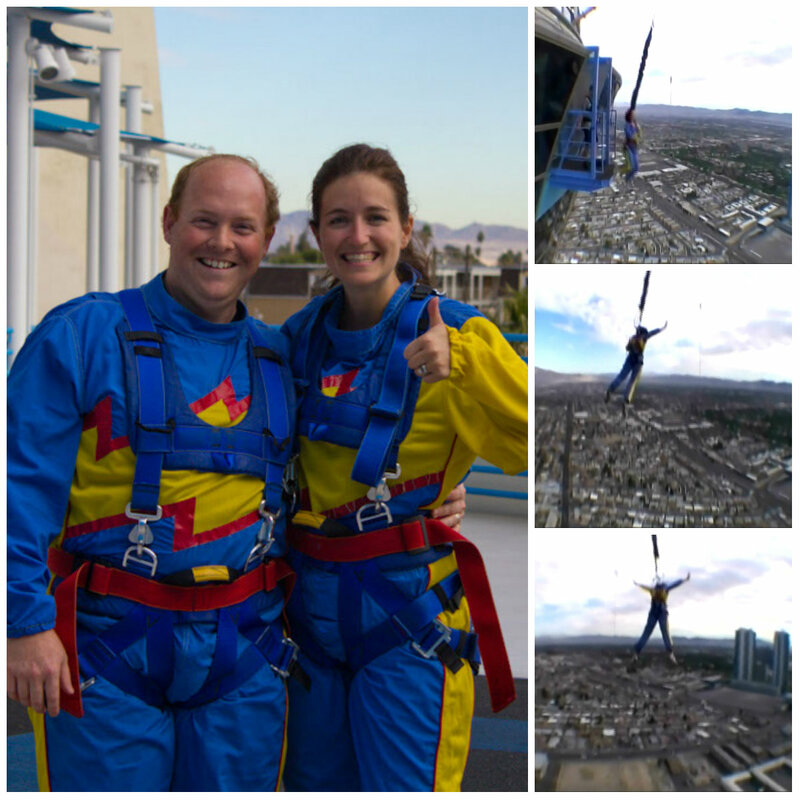 I’ve done most of the extreme adventure things – sky diving, bungee jumping, scuba diving, etc. Right now, my extreme adventure has to do with accessing my more creative side and sharing it with others. That feels like quite an adventure to me right now. :-) Love your blog!! 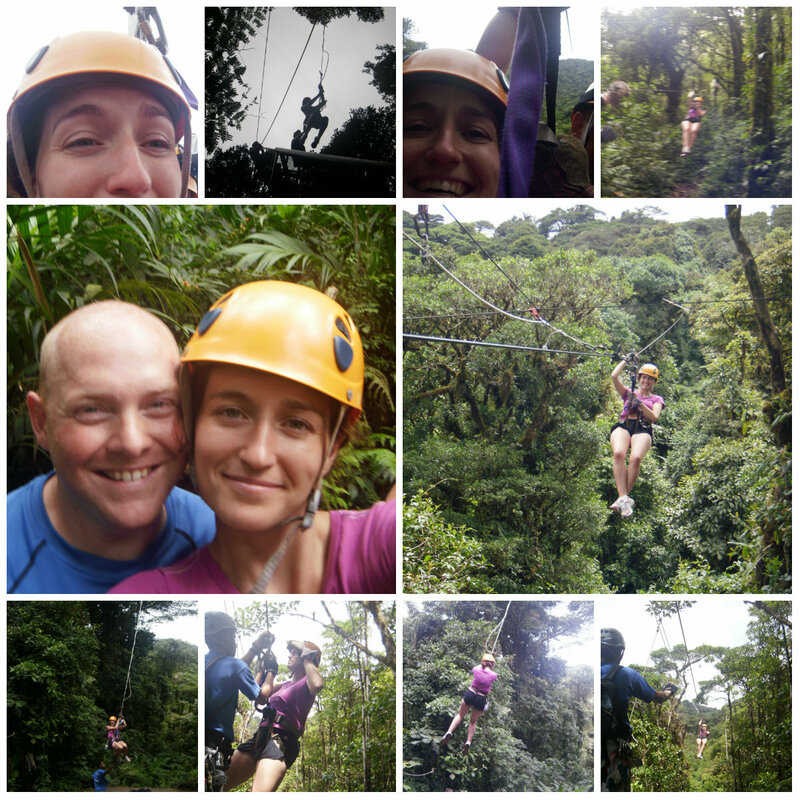 Extreme adventure and bucket lists are two of my favorite things! I doubt this qualifies as “extreme,” but riding in a motorcycle pack, a huge one, is on my bucket list. 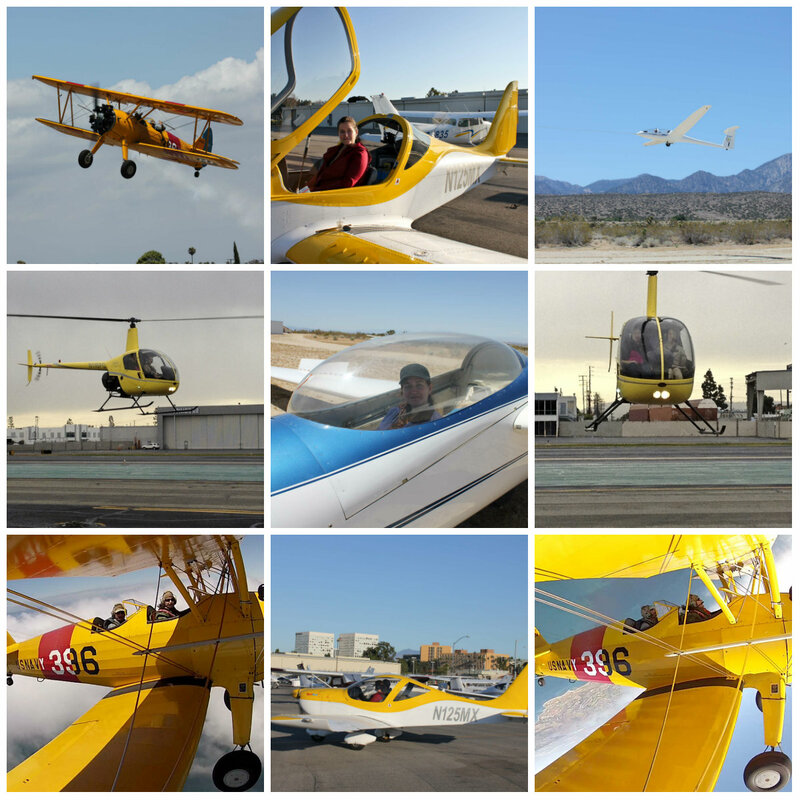 Love the collage of photos! Bicycling across the Atacama Desert is at the top of my adventure bucket list. 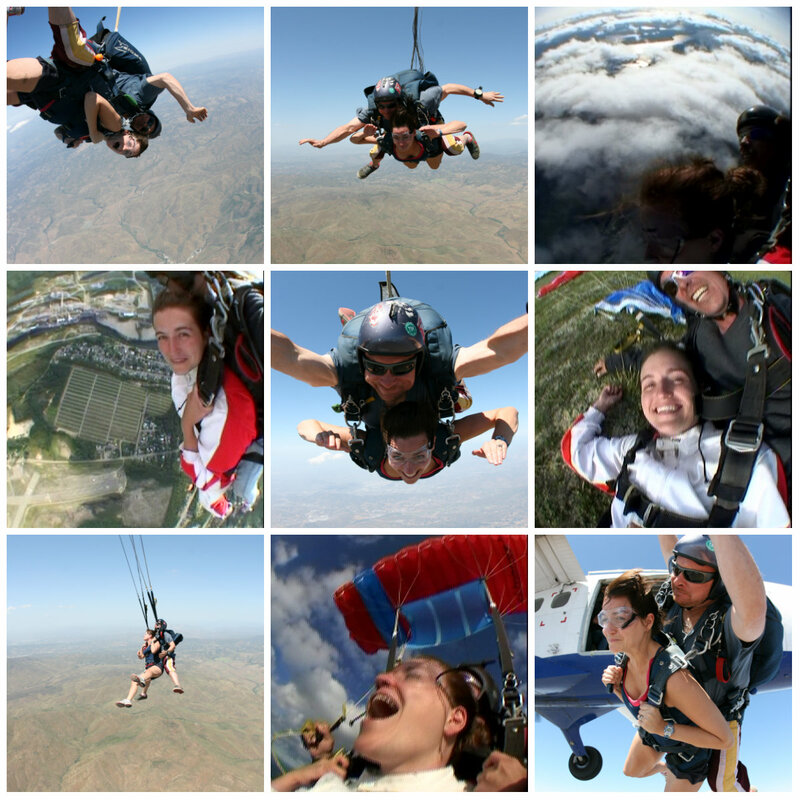 Skydiving is for sure on my list! Diving between the continents in Iceland is also on there–hope to cross it off in November! Going back to Antarctica on a smaller ship. Take a cruise that goes North of the Arctic Circle. Easter Island and the Galapagos Islands. I want to hike up to Macchu Picchu and zip line over the rainforest (a la Medicine Man). I’d love to go dogsledding. I’ve always had that on my list. Your photos make it look like so much fun! I’d also like to bike across Africa or Russia. Amazing what you have been able to accomplish. No doubt you are living your life’s journey to its fullest! Extreme recliner soccer, real football. Whoa. This is quite inspiring for someone just starting out. Here I was thinking I’d done nothing extreme, then I see this post and realize I have done a few things: dog sledding in Alaska (yep, that was a blast. I almost fell off when those dogs started up), zip lining, biplane ride, exploring caves (easy ones), snorkeling with wild sharks at Midway Atoll, dune buggy riding, landed a 2-seater Cesna (my “date” handed me the controls, and me with no experience at all), scuba diving, glider riding, hiking a mountain in Micronesia and fording a swollen river in the middle of a typhoon (thought I was going to die for sure), and performed high lifts with an acrobatic dance troupe. What’s on my Bucket List: hot air balloon ride, learn to surf, and maybe hang gliding. I think I’ll pass on the jumping-out-of-airplanes thing. I have lived a full life and I do have a bucket list. Two of them actually. One is for things I will never do again. I am in my 60’s and would be ashamed to compare lists. I have some physical disabilities now. So my advice to you is, You go girl! come mid september my husband and I are going to walk the camino santiago de compostella. 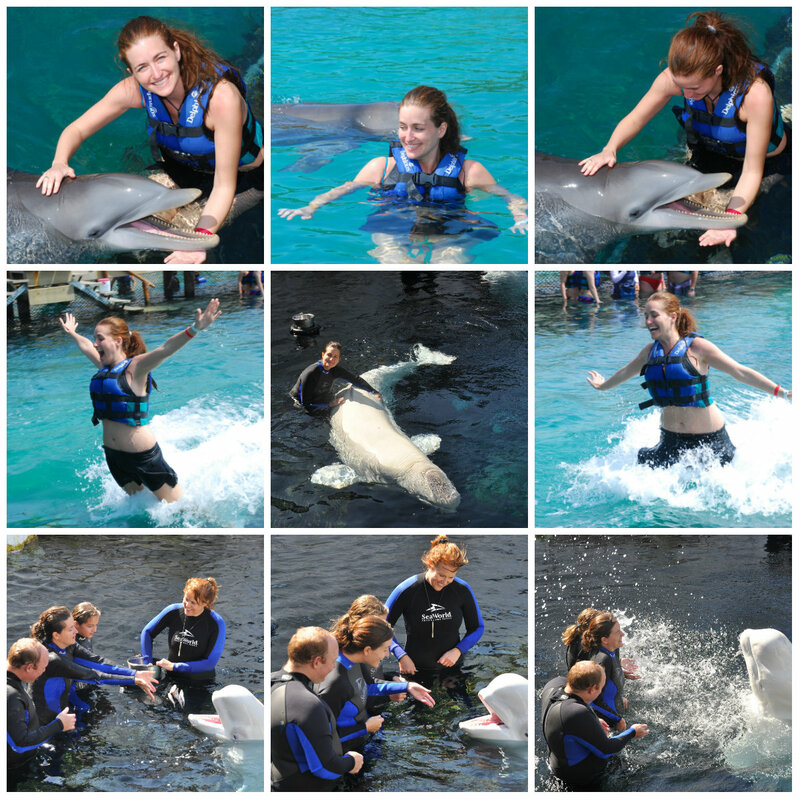 Not to get all activisty but I enjoyed my experience with a dolphin as you have but regret it due to the continued promotion of them in captivity. Anyway, I think my extreme adventure is to sail the world. I know I know, it’s not too “extreme”, but the end result will sure appear to be. 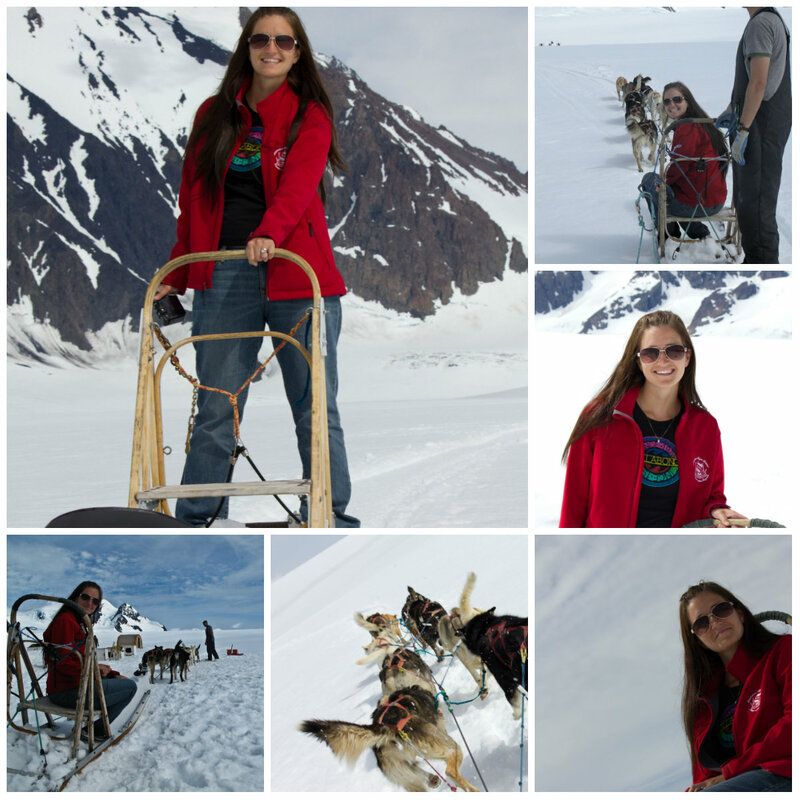 That looks like so much fun, the snow and the sled dogs… that is on my bucket list! Amazing! You have done it all ! Wow, I’m jealous of your adventures! Very inspiring. Except the bungee jump, I could pass on that. My own would be to go into space. If I could, I definitely would. That would be a life changing experience without a doubt. Hey, you are really bold. 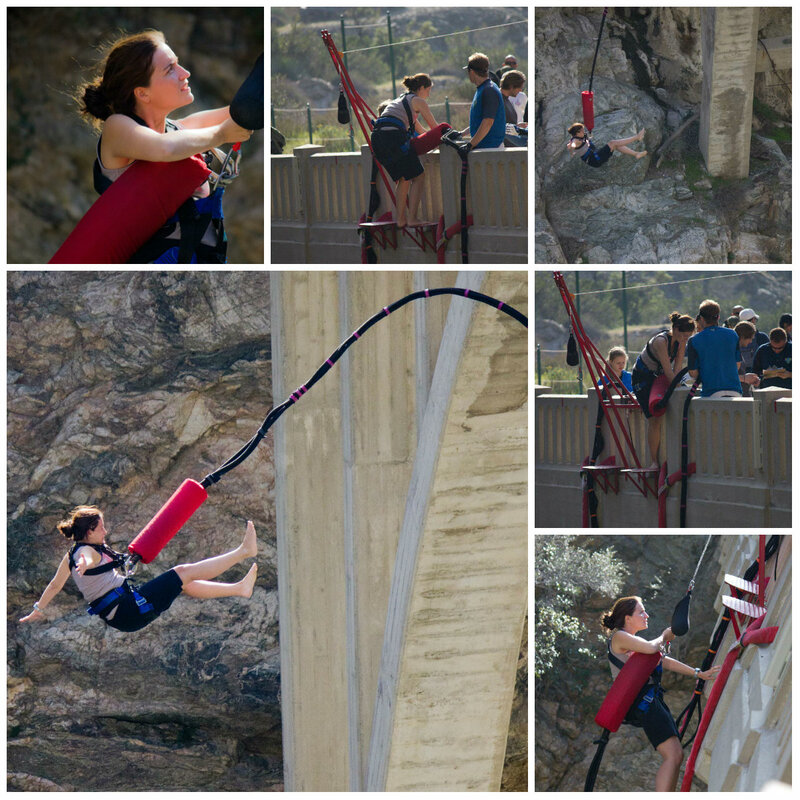 Oh, you perform such great feat, I dare not to do any of these, but I salute you for having the guts to try them! Love the pictures! We are talking about taking OUR WAY down the ICW to the Keys this fall/winter and then flying to Oman for an archeological dig in the Spring. It looks like you had a ton of fun! I wouldn’t mind doing some of those. I’ve gone spelunking, but would like to go more often. Ziplining and scuba are next. Wow, those all look amazing! I think ziplining and scuba diving both sound fun, and I might try bungee jumping (though I’m a tiny bit afraid of heights). I also want to do part of the Camino de Santiago walk, which doesn’t seem extreme until you see the crazy awful blisters people get from the trek! Count me in for anything that doesn’t involve heights! I would like to try skydiving! Come to Malaysia!